Toasty, biscuity, baking bread, nutty, clean Biscuit Malt. Well suited for Nut Brown Ales & other dark beers. Its clean flavor makes it equally well suited for ales and lagers alike. 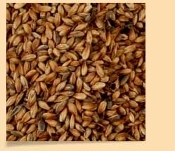 Use in small amounts to add complexity to lighter colored ales and lagers. Copyright © 2005-2019 Beverage Art Brewer & Winemaker Supply. All rights reserved.